Here comes the summer and with it the soaring temperatures! 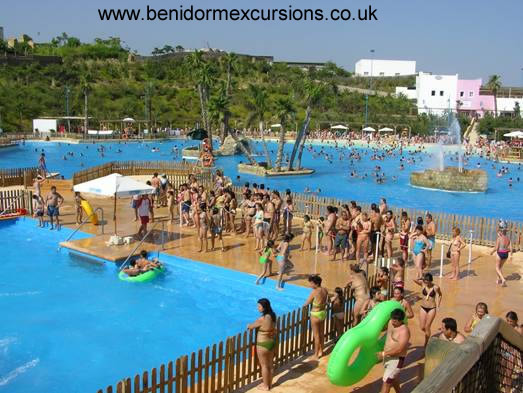 If you are looking for somewhere to combat the heat with the family, how about one of the water parks in Benidorm. Aqua Natura is one of two water parks in Benidorm and is ideal for all the family with fresh water, great views and shallow areas for the children to play freely under the watchful eye of Mum and Dad. Children will be kept occupied in the Children’s play area and with the water slides, water chutes, puppet shows, Aqua Gym and Sea Lion show, the rest of the family can relax and enjoy a Mojito or an iced Coffee. Aqua Natura is the sister park to Terra Natura , the wild life park and is set in 40,000 square meters which have been designed to provide a good visual field so that parents can keep an eye on the kids while relaxing. There are five areas, the wave pool, water chutes, children’s pool and the Lighthouse area with spa and sun terrace. Aqua Naturaopens daily from the end of May to middle of September with reasonable prices. Tickets are sold individually or combined. The combined ticket allows entrance to both parks on separate days. 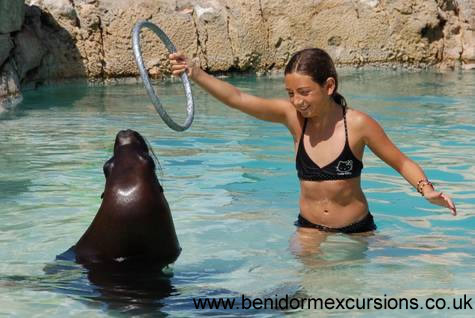 Get up close and personal with the animals in Terra Natura one day then chill out at Aqua Natura another day. Tickets are on sale from April from this web site with a discount.